Oh, what a state the state of Florida football is in. 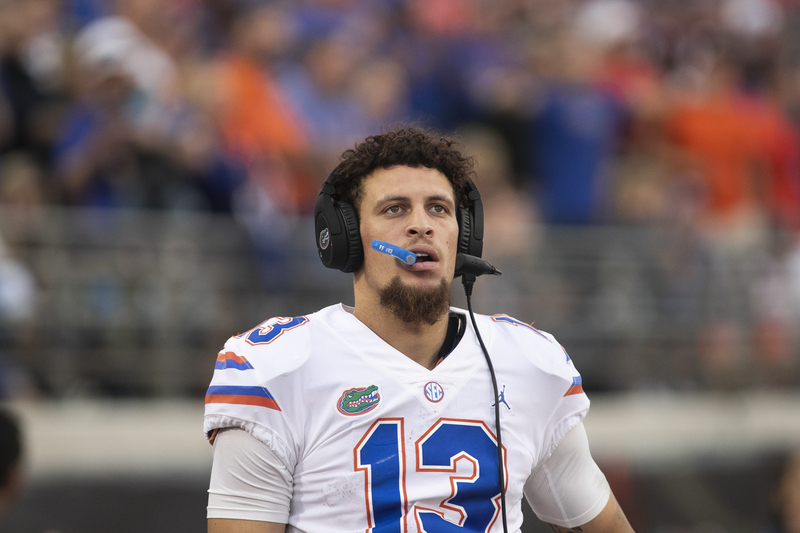 Florida, a state that once dominated college football with national championships and Heisman Trophies and top draft choices, suffered its second straight horrendous week Saturday. -- Florida, at one point a top 10 team in the nation, fell for the second time, losing a 38-17 decision to Missouri in its homecoming game. Seminoles have now given up 106 points in two weeks of losses. -- USF, too, was embarrassed, losing 41-15 to a 4-5 Tulane team. The Bulls, undefeated going into last weekend, has given up 98 points in two weeks. -- Miami lost to unranked Duke, 20-12, at home for the first time in 42 years. In other words, it was a painful week for the locals. Once again, only UCF is in the national picture, although the Knights are barely in any serious discussion for the national playoffs. Still, 8-0 isn't anything to sneeze about. Missouri 38, Florida 17: Florida's highly regarded defense struggled against the Tigers, giving up 250 yards passing and 223 yards rushing. Missouri quarterback Drew Lock threw for three touchdowns against Florida. Florida trailed only 7-3 after one period, but surrendered 28 points in the second and third periods. Florida ended up pulling quarterback Feleipe Franks in favor to Kyle Trask in the game. Franks hit only nine of 22 passes for 84 yards before giving way. “We’ll see if there’s a drastic change this week,” Mullen said. “We’re going to go with the guy that gives us the best chance to win. N.C. State 47, FSU 28: For the second straight week, the FSU defense was steamrolled by its opponents. FSU has given up 941 yards over the last two weeks. Backup quarterback James Blackman threw for 421 yards and four scores in his first start of the year, but the Noles rushed for just 24 yards. In their last two games, FSU has rushed for a total of three yards. FSU plays at Notre Dame this week, then finishes with Boston College and Florida. Duke 20, Miami 12: The Blue Devils won in Miami for the first time since 1976. The Hurricanes have waffled between quarterback Malik Rosier and N'Kosi Perry. Saturday night, the two combined for just 111 yards through the air. Miami did run the ball well enough, getting 133 yards from Travis Homer and 124 from Deejay Dallas. FAU 49, FIU 14: The Owls changed quarterbacks and ended up with 439 yards of total offense. FAU went to quarterback De'Andre Johnson -- originally at FSU -- in the second quarter. But as long as their quarterback was handing off to Devin Singletary, it didn't matter. Singletary had 184 yards and scored three touchdowns in the win. Previous post: Will the USF Bulls manage to win another game?